Is the weather making it difficult to play outside? Between Chicagoland’s heat waves and cold fronts, it can be difficult to give your kids a way to burn off all that extra energy. Thankfully, there are plenty of indoor play areas all over the south suburbs… if you know where to look! We’ve rounded up all the places you can head inside to play when it’s just too hot out, too cold out, or you want to mix up your routine a bit. This article is sponsored by Sky Zone in Joliet. PLAY. EVERY DAY AT SKY ZONE JOLIET! 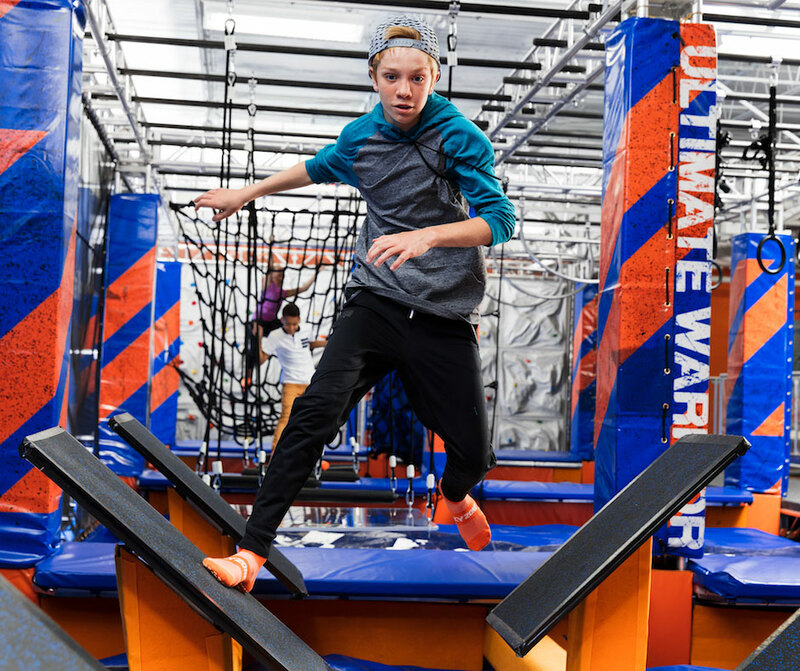 Challenge your friends to a test of speed, strength and agility on our Warrior Course – or bring everything you’ve got on our Ultimate Dodgeball Court! Other activities include: Foam Zone, Sky Slam, Free Climb, SkyJoust, Challenge Ladder & Freestyle Jump! Did we miss any of your favorite indoor play areas? Please let us know in the comments or on our Facebook page! Then, check out all the great indoor play areas in the west suburbs for more options, or see all our indoor things to do with kids. 2 Comments on "The Ultimate List of Indoor Play Areas in Chicago’s Southwest Suburbs"
The picture at the beginning of the article, which play place is that? It’s the indoor play area section of Gizmos in Orland Park.